Sometimes you find something that you cannot identify outside of it being right up your alley. 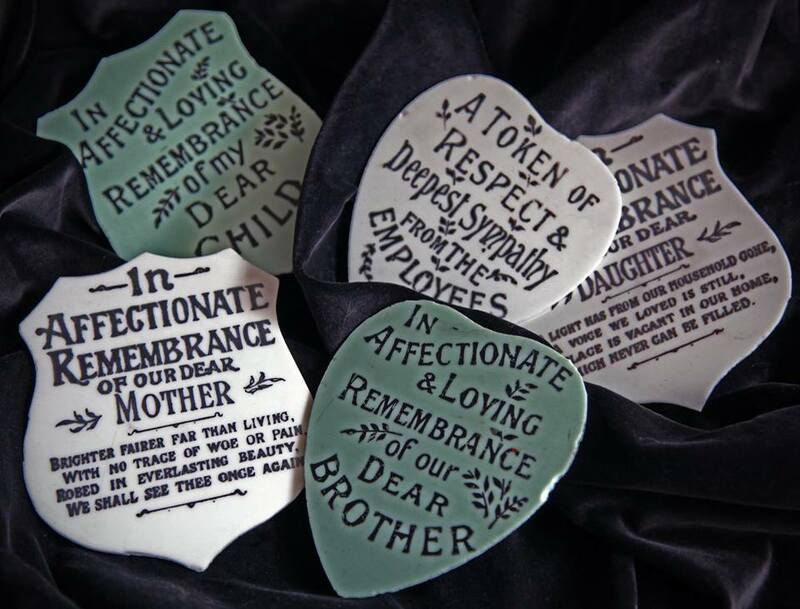 These memorial plaques made of milk glass and Jadeite emblazoned with the love, admiration and respect of the living for the dead are no exception. We are not sure of their actual use but given the lovely, worn patina of the kind words upon them, they appear to have been used again and again in a funeral setting and so our assumption is that they were decorations to accompany flower arrangements and the like. Such marvelous and impossibly delicate things to have survived the years of disuse and to have found their way to us at the Nevertold Casket Company. Enjoy!